RALEIGH (WTVD) -- Some of our area principals are finding funny ways to announce snow days. The principal of Raleigh's Cardinal Gibbons High School got lots of attention his announcement. Jason Curtis created a Ferris Bueller's Day Off inspired YouTube video showing him having the run of the school - by himself. 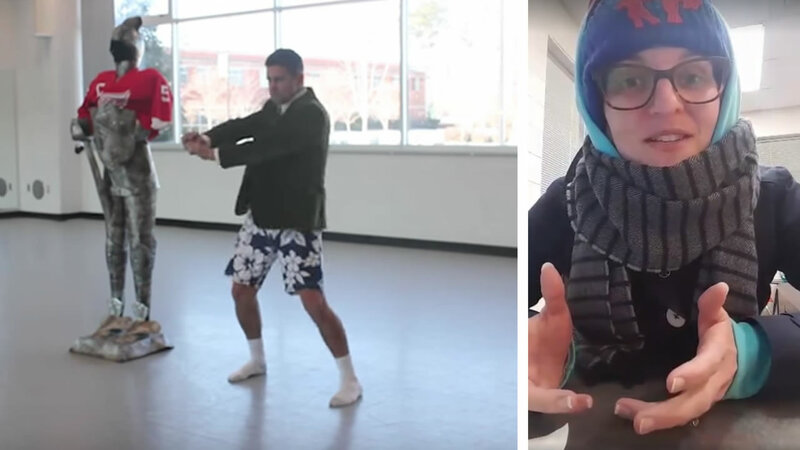 The video shows Curtis making s'mores in the science lab, sledding down stairs, and dancing in the halls wearing shorts with his suit jacket and tie. The video has thousands of views. And over at Nash-Rocky Mount Public Schools, Spring Hope Elementary Principal Kelly Anne Mudd gave students her take on Adele's hit "Hello".